The food of Crete is famous around the world for its highly nutritious, healthy properties and ingredients. 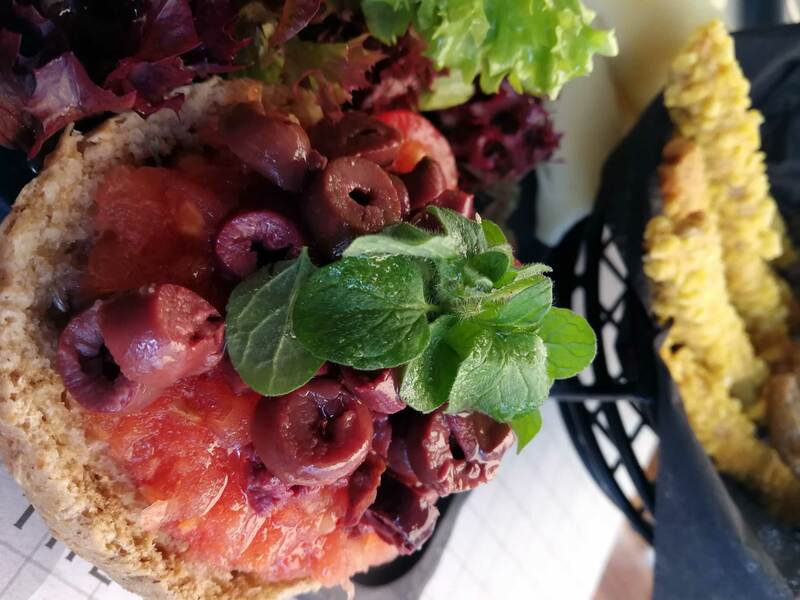 Known to foodies as the “Cretan diet,” the food of Crete is based on local, fresh, seasonal, and organically-grown fruit and vegetables, extra virgin olive oil, and pulses. 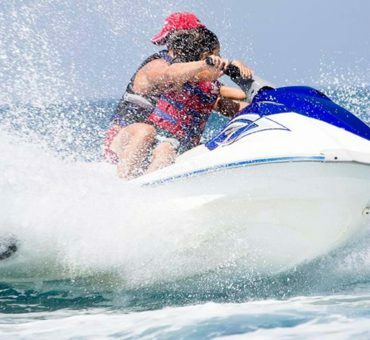 When you visit Crete, you will have enough opportunities to taste the island’s best olive oils, homemade wines, and the tasty dishes that made the diet of the islanders legendary. If you are a first-time visitor, here are some of the must-try traditional Cretan foods to inspire your menu. 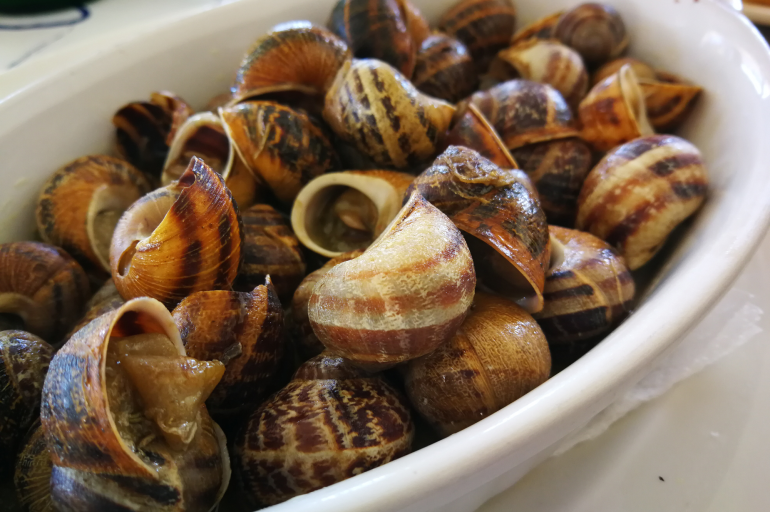 Crete has about 120 different species of snails, including six edible: chondrós, lianós, barbaróssos, chochlidháki, mourmoúri, and archóntissa. They are usually pan-fried in olive oil, with Cretan herbs and freshly squeezed lemon juice. 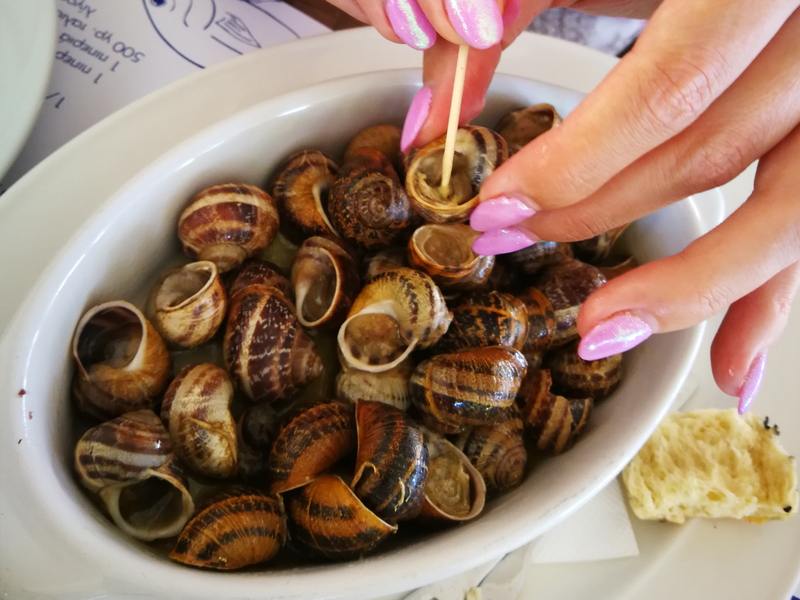 They are served in most traditional Cretan restaurants and they are usually fresh because they are sourced from local snail farms even when they are not in season. Paximadi (plural ‘paximadia’) is a barley rusk; an exclusively Greek twice-baked, molar-crushing biscuit, which was for centuries the staple snack for islanders and sailors in the parts of Greece where wheat was difficult to grow and wood for firing the oven was scarce. Dolmades are usually vine leaves stuffed with rice and herbs and served with a dollop of Greek yogurt. They are available as an appetizer in all traditional tavernas and can be consumed cold at breakfast too. 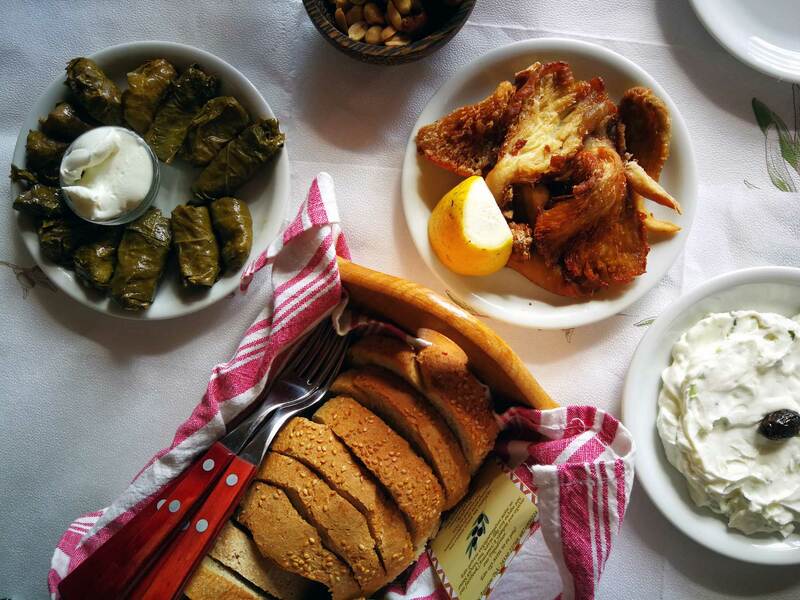 Usually, dolmades are consumed meze style, accompanied by other snacks, like tzatziki, eggplant salad, stuffed tomatoes, cheese saganaki, grilled mushrooms, and so on. Honey is one of Crete’s flagship products. According to official data, there are 2.206 apiarists in Crete with 142.856 beehives. You must try thyme honey when you are on the island. 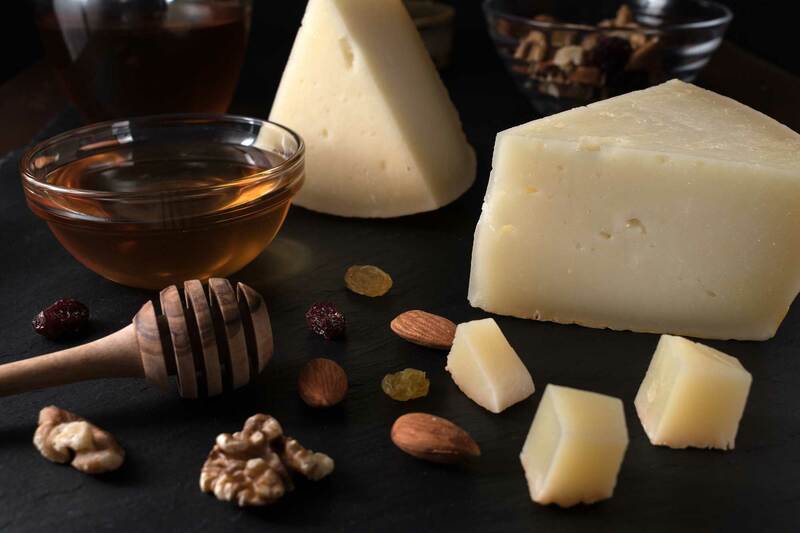 You should also try local cheeses, like anthotiros goat’s milk cheese, salty sheep’s milk kefalotiri, classic graviera, and fresh mizithra. 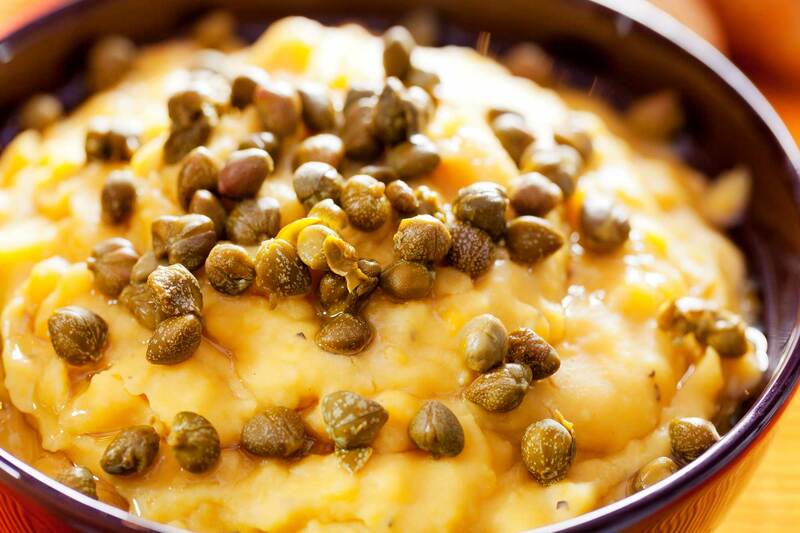 The Cretan fava is a typical dip or bread spread made with yellow split peas. It’s a simple recipe: just cook yellow split peas with onion until soft, add garlic and salt to test, then puree until smooth. Serve cold or warm, as you like it. In Crete, the dish is typically an appetizer and it’s served cold. Besides these staples, there are many other foods you should try when you visit Crete: horta greens, lamb with stamnankáthi, lamb chops, beef or rabbit stifado, and moussaka, among so many others. At the end of every meal, you usually get complimentary raki (which is very strong) and dessert (either seasonal fresh fruit or homemade cakes and ice cream). 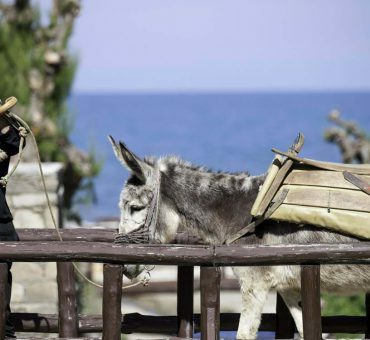 Keep in mind that the food of Crete is not pretentious and sophisticated. It counts on home-style slow cooking traditions and freshness for taste. Most tavernas will not serve all the dishes at once, but as they are ready. The appetizers portions are small, designed to share. If you dine out as a couple, five-six appetizers are usually enough to tame your hunger. Mains are served in generous portions so build an appetite.